A deviously aspiring actress (Anne Baxter) befriends an aging theatrical legend (Bette Davis), eventually becoming her understudy and plotting to snag her next role. With that said, Peary does point out that not all critics are unanimously impressed by the film. 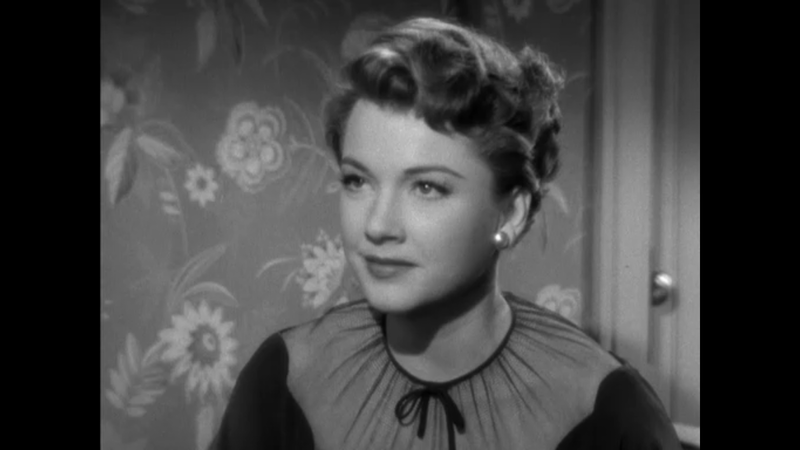 Some, for instance, “blame Anne Baxter’s lack of depth as an actress for making Eve Harrington come across as an essentially shallow character”. But Peary convincingly argues that “Eve is shallow by design”, “limited by her own superficiality” and unable to “lay down a victorious trump card because she has none”. Indeed, he astutely notes that “if Eve were the strong character that some critics wanted Anne Baxter to play her as, she could never have wound up as the kept woman of a man who only selects from the bottom of the barrel” (ouch!). Baxter, I believe, is ultimately fine and well-cast in the title role — but it’s Davis as Margo Channing who remains the film’s undeniable viewing magnet. Channing — “perhaps the most dynamic woman ever to appear on the screen” — is “intelligent, opinionated, high-strung, temperamental, and… adept at unleashing funny one-liners”, but what’s most interesting about her character is how “contradictory” she is: she’s “vain, but self-effacing”, “self-reliant one minute and dependent the next”. It’s no wonder Merrill’s character is so fascinated by this enigmatic, all-too-human diva! 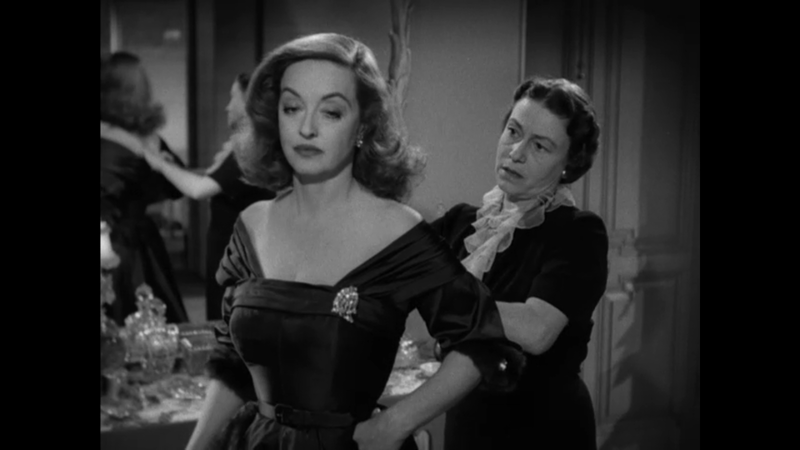 While I appreciate the film’s enduring central melodrama of rivalry and back-stabbing, what struck me most upon revisiting All About Eve recently is what a strong statement it makes about the power of friendship. 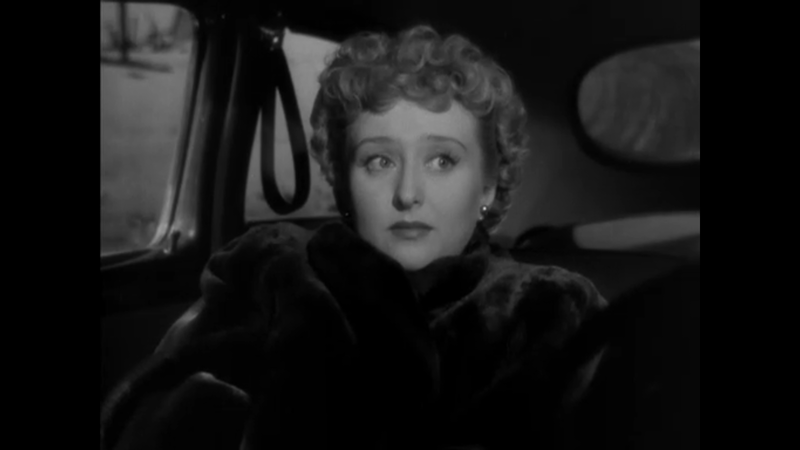 The film’s narrator, after all, is Margo’s best friend (Celeste Holm), whose loyalty to Margo may be sorely tested by the intrusion of Eve in their lives, but is never permanently severed. During a pivotal scene later in the film, Margo, Karen (Holm), Bill (Merrill), and Lloyd (Hugh Marlowe) sit around a restaurant table together, and Margo mentions how much the couples’ friendship means to her — this, along with her romantic commitment to Bill, ultimately emerges as the most important triumph in her storied existence. 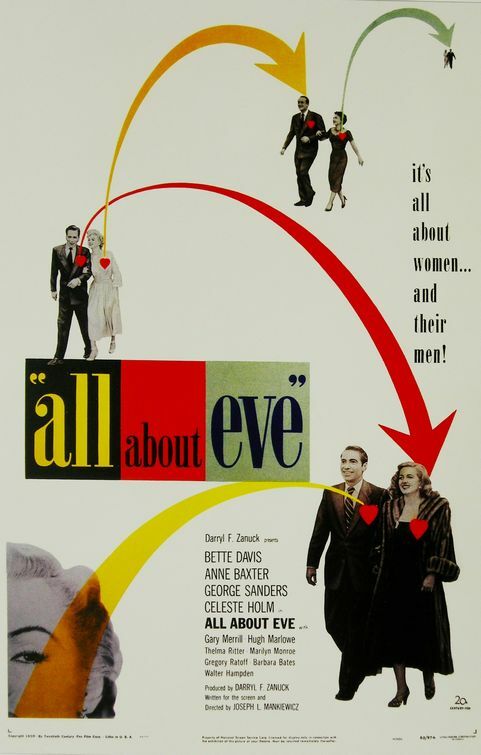 Although Eve may get what she (thinks she) wants by brutally clawing her way past any obstacles that stand in her way, the film’s clever denouement provides all the proof we need that Eve’s lonely path won’t afford her nearly the satisfaction that Margo has earned in all other areas of her life. It is also interesting, as Peary points out, to note that in the “final section of the picture”, “Bill and Lloyd, with Margo’s blessing, work with Eve in a new play” — the point being that “in the theater, talented people are accepted, regardless of character”. Be duly forewarned. Yes, of course. Listed as a film with Historical Importance, a Cult Movie, and a Personal Recommendation in the back of Peary’s book. Nominated by Peary as one of the best movies of the year in his Alternate Oscars. A no-brainer must. Indeed, among the best scripts ever written for the screen and one of the best films ever – an all-around winner that, as I see it, just works on every viewing. I can’t praise it enough, even if I’m intimidated about writing about it…since whatever needs to be said about it has probably already been said. On this new rewatch, I focused on how much anxiety runs through this ‘comedy’ (even though I don’t think it’s ever been referred to as a comedy; it just happens to be a savagely funny drama). Though most of the many characters seem to feel perpetually anxious for one reason or another, the men appear less so. Perhaps because the men generally feel less threatened in their positions. It is, after all, the start of the 1950s – the women’s liberation movement is still years away – and the men have less reason to believe their lives can easily become undone. 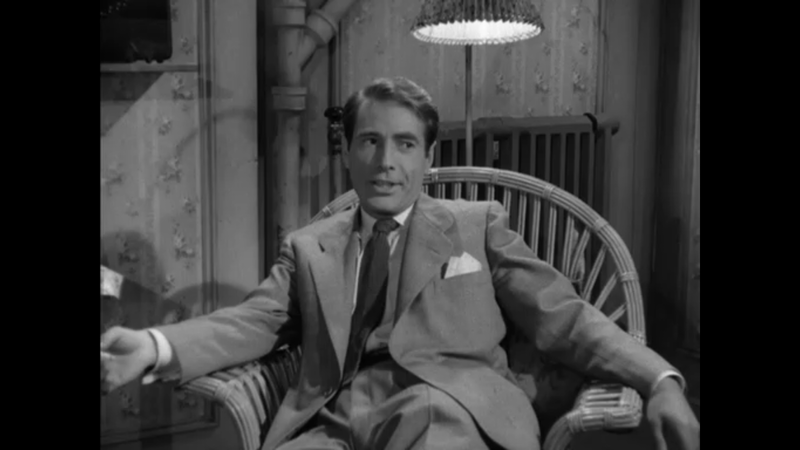 It’s a small point – but the character of Lloyd Richards (played by Hugh Marlowe) does gnaw at me somehow. He is supposed to be one of the major playwrights of his time, writing hit after hit for Broadway. Of course, we never see any scenes of his character’s work for the theater, so it’s impossible to say – and what the man is as a person and what he may be as a writer may be two entirely different things. But…as a character, Richards is perhaps the dullest in the bunch here. He doesn’t seem particularly bright (not that he’s downright dumb) – in fact, any time I see the film, he hardly registers for me at all. But then…the film is only marginally about him. …Just an observation. 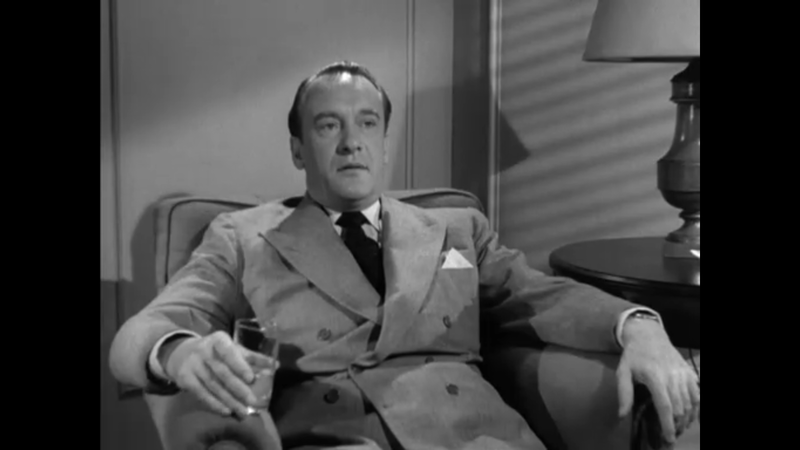 On the DVD, there is a commentary by Sam Staggs, author of ‘All About All About Eve’ (which I’ve read). Staggs is a very entertaining commentator – and this is clearly among his favorite movies (he has certainly researched it thoroughly enough). It’s sad to hear yet more documentation of how threatened Davis must have felt by a good number of actresses she worked with. Here it’s brought out that she seemed to ‘hate’ Holm and Monroe on sight, though she was very chummy with those a bit more ‘below her station’: i.e., Thelma Ritter (no threat at all on-screen) and personal dress designer Edith Head (not on-screen at all, unless you count her dresses). One does wonder what’s behind these reports of insecurity in Davis’ nature – perhaps we’ll never really know. But, at any rate, Staggs gives much insight into this very complicated, very satisfying and very, very sturdy masterwork.